Janice Joines, born July 27, 1941 in Elko, Nevada passed away at home on April 2, 2018. She was surrounded by family, and her loving husband of 54 years, Neil. 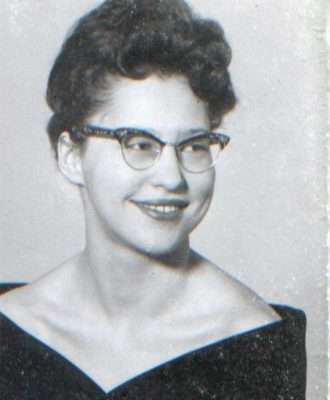 She was a resident of Susanville for 60 years and worked for various businesses. She was bookkeeper for Tri County Glass for several years, then Citizens Utilities for 10 years, completing her career with D & L Distributing when she retired. In lieu of flowers, the family has requested to please donate to your favorite charity in Janice’s name. Per her request there will be no services. Lenard Charles Robinson passed away to be with the Lord and his loving wife Janice Marie Robinson and with his loving children by his side on April 10, 2018. Lenard was a resident of Susanville for the past 56 years. He was born on Jan. 10, 1940 in Alturas, California. He was the oldest of five children. Lenard met the love of his life, Janice Robinson in 1958 and they were married 55 years. 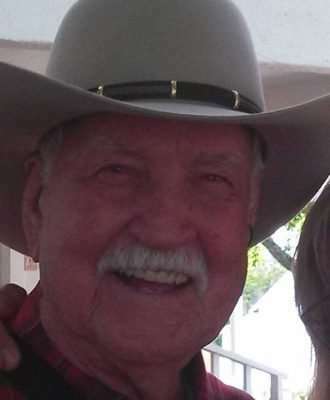 He enjoyed fishing, hunting, and one of his many loves besides Janice, was NASCAR and refurbishing old furniture; and his children and grandchildren. He is best known for his auto mechanic talents and knowledge. If it was broke he could fix it. He worked for Sierra Pacific Industries as a diesel mechanic for 19 years. He followed by working with his wife as cooks at the Lassen Senior Center. He leaves behind his three children, Lenard Robinson Jr., and fiancé Sheri Fisher Talbot; two daughters, Theresa Zayac and Sherri VanDuyn; son-in-law, John VanDuyn; and eight grandchildren, Brandon Weeks, Tiffany Weeks, Kaylob VanDuyn, Nichole Zayac, Heather Zayac, Sara Zayac, Mark Zayac, Mathew Robinson, and wife Rose; seven great-grandchildren; two brothers, Larry (Laura) and Lewis; and two sisters, Lorena and Linda. Sunkist Drive, Susanville, California at 3:30 p.m.
Lenard will be deeply missed, always loved and never forgotten. Rest in peace, we love you. 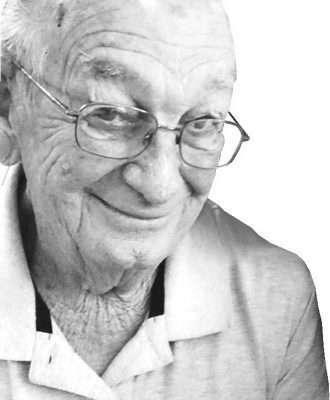 Harold Eugene (“Gene”) Johnston, formerly of Susanville and Janesville, passed away on Feb. 25, 2018 at the Veterans Home in Redding, California at the age of 92. Harold was born May 19, 1925 in Gillham, Arkansas, the fourth son of a blacksmith/mechanic. To supplement their income, the family performed music and skits around the south as a traveling medicine show, once being threatened by the Ku Klux Klan for hiring blacks as part of their show. Hit by the Depression, the family moved to California, possessions and kids piled atop their vehicles like in “The Grapes of Wrath.” Harold and his brothers earned money doing farm labor, digging septic pits and collecting kelp from a small boat, though they had no life jackets and couldn’t swim. In 1943, at age 18, Harold was drafted into the Army, first marrying his high school sweetheart, Lucille Ludwig. He saw much front-line combat, in the Battle of the Bulge, and as one of few who survived taking a Rhine River bridge into Germany, running across two at a time while being strafed by enemy fire. He said his division suffered an 87 percent casualty rate. Harold described carrying adult concentration camp survivors the weight of children. Harold and Lucille started a business in Yuba City making evaporative cooler pads from aspen they machine-shredded. In the summers, the family would travel to Utah to log the aspen, often doing it themselves, sometimes using horses. In 1989, Harold and Lucille retired to Janesville to be near their son Jim and his eventual family. Lucille passed in 2009, after 65 years of marriage. Harold was much beloved, known for his disarming sense of humor, the twinkle in his eye, and his genuine liking of other people. He was a great storyteller and entertainer. People loved to listen to him play guitar and sing old cowboy and western songs. He is survived by his younger sister, Joanne, of Norman, Arkansas; son John, of Yucca Valley, California, son Jim, of Kapoho, Hawaii; and grandchildren, Katelyn and Bryce Johnston. He is buried next to Lucille at Diamond Crest Cemetery. Paradise resident Helen Mahan passed from this world April 15, 2018 at the age of 99. 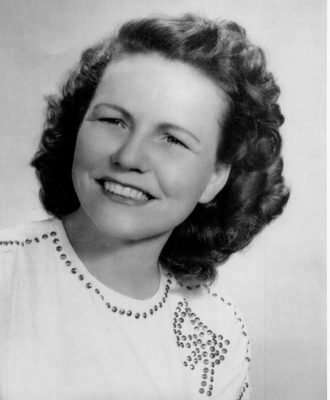 She was born in a farmhouse near Antioch, Nebraska on March 12, 1919. The youngest of four children, she had a brother, Elbert, and two sisters, Evelyn and Dorothy. Her parents were George and Mabel Wright. They came to California when Helen was 4 years old and settled in Monrovia where Helen grew up and graduated from high school. In 1935, she married a young CCC worker, Leon Mahan. They remained married and in love for 57 years until Leon passed away at age 79. Helen remained a widow the rest of her life, but was always cheerful and confident that God would love and keep her. In 1941, Helen and Leon had a daughter, Charlotte. When World War II began, Leon moved them to St. Louis, Missouri where he worked on military aircraft at “Mac Donald Douglas”. In 1947, they returned to Southern California. That year and in the next two consecutive years, more children were born; David, Sondra and William. Helen then began a career with the L.A. County Assessors Office lasting until retirement. Which took her and Leon to a small community near Kingman, Arizona. Helen and Leon were rock hounds, made jewelry and traveled often. They spent summers at Eagle Lake and in Susanville. When Leon died in 1992, Helen returned to California residing in Paradise. She is survived by four children and their spouses; Charlotte Dahms, David Mahan (Kristine), Sondra Eye (Greg) and William Mahan (Sherri); 12 grandchildren; 15 great-grandchildren; nine great-great-grandchildren. She was preceded in death by her beloved spouse, her parents and all of her siblings. Pastor Jack Wright will preside at her Memorial Service at 2 p.m. Sunday, April 22, 2018 at Chapel of the Pines, 5691 Almond St.
Paradise, California. Interment will be Monday, April 23, 2018 at Paradise Cemetery, 980 Elliott Road. Donations may be made to the First Assembly of God Church, 955 Elliott Rd. Paradise, California, 95969. 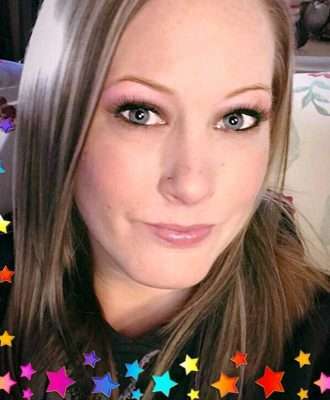 Debra “Deb” Michelle McLeod, 30, of Susanville, California passed away unexpectedly on Friday, April 6, 2018. She was born in Castro Valley, California on Feb. 2, 1988 to Stephen and Elizabeth McLeod. She grew up in Pleasanton, California where she attended Walnut Grove Elementary, Harvest Park Middle School, Amador Valley High School and Village High School. Her youth was spent playing sports such as soccer and pursuing her passion of pitching in softball. Her outgoing personality provided an abundance of friends. She was diagnosed with Type 1 diabetes when she was 10, which changed her life drastically. However, she would tell you that diabetes never defined her; just made her that much stronger and a fighter. She moved to Susanville, California in 2006 where she was an active member at Community Church and Celebrate Recovery. She loved music, and often the songs and lyrics helped her get through trying times in her life. The number one thing she would say was most important to her was family. Deb is survived by her parents, Steve and Liz McLeod, of Susanville, California; brother, Steven and sister in-law, Ann McLeod, of Dahlonega, Georgia; sister, Denise McLeod, of Castro Valley, California; many aunts and uncles; a niece and nephew; two great-nephews; countless cousins and friends from all around the United States. Her outgoing, loving, spitfire personality was celebrated at 3 p.m. Sunday, April 15, 2018 at Susanville Community Church, 1400 Numa Road, Susanville, California, 96130. In lieu of flowers, the family asked that donations be made to Celebrate Recovery of Susanville, as Deb lived for Friday nights when she was there. Community Evangelical Free Church, Celebrate Recovery, 110 North Gay St., Susanville, CA 96130 or text the word GIVE to (530) 994-5172, it will prompt you to specify where you want your donation to go. Type in CR and it will ask for bank information. A gravesite burial took place at Chapel of the Chimes in Hayward, California in the days after the funeral where she was laid to rest. Deb posted this quote recently and the family could not agree more that this is how she lived her life and would want everyone who loved her to do so moving forward, “You’ve got to get up every morning with a smile on your face. And show the world all the love in your heart,” Carole King.